Imagine awakening to a new reality of who you are, revealing a hidden past that has shaped your family's history for centuries. Fact, not fiction, this experience has been shared by thousands of descendants of Sephardic Jews who fled Spain and Portugal in the 15th and 16th centuries, seeking safe haven from the ruthless Spanish Inquisition. Many had already converted to Catholicism, but learned that conversion was not enough to save their lives. They established new communities throughout the world, living as Catholics on the outside, but guarding a precious Jewish heritage in secret, an observance reduced over time to mere ritual and custom. Meet a modern day member of New Mexico's northern Hispanic settlements who finds a new truth about herself and her family in the unexpected tumult of her life. The disappearance of her two children leads her on an inner journey and an outer one, into the past and toward a newly imagined future where she can finally choose how she wants to live and who she wants to be. 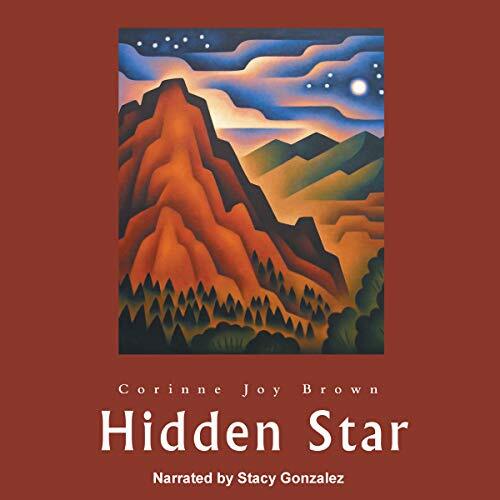 Hidden Star was inspired by the emergence of Spanish Catholics and Protestants in Mexico, Texas, and the American Southwest, who believe they have Jewish roots. Today, many have thoughts of return, or have already begun the process. A work of fiction, this book was inspired by interviews with actual descendants, plus events that shaped this culture's history, and suggests that in an era of religious freedom, we're more alike than different - whatever our heritage, we want a better world. Music - Lorenzo Trujillo, "The Golden Age of the Southwest: From 1840 to Hollywood", Song - "La Llorona" (by Luis Mars) copyright 1949 Promotoira Hispano Americana De Musica S.A. All rights administered by Peer International Corp. All Rights Reserved Used By Permission.